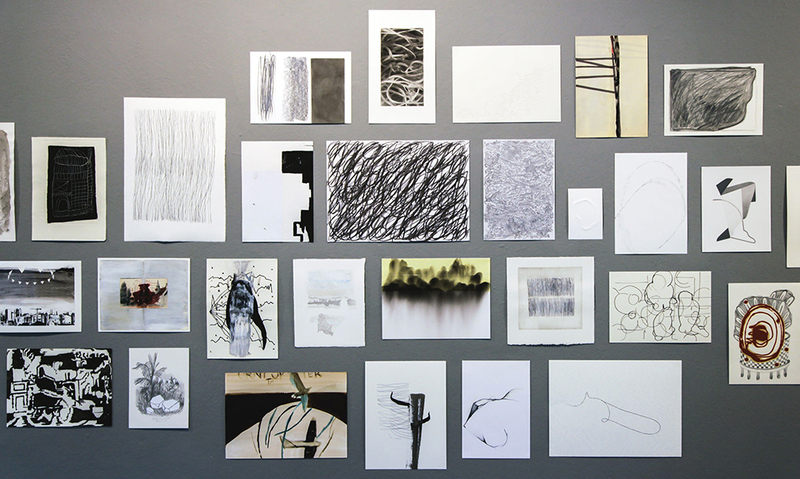 ANONYMOUS DRAWINGS 2015 presents 600 drawings by 600 international artists at artQ13 Rome. The works will be displayed anonymously. ANONYMOUS DRAWINGS: How does one’s own assessment change if there is no information at all about the artist? How can one develop a personal definition of value if the sales prices are all identical? What is then a good drawing? ANONYMOUS DRAWINGS is conceptual art and exhibition project all in one. With ANONYMOUS DRAWINGS many single pieces of art become one “Gesamtkunstwerk”. Each and every anonymous artist becomes part of a collective work of art where hierarchies do not exist. All the drawings are available for a symbolic unit sales-price of € 200 each. The artist’s identity can only be revealed by a sale: the buyer takes the drawing right off the wall and the empty space left behind will be marked with the artist’s full name and place of origin. The given unit sales price should not be seen as a real market price, but as a conceptual place holder for any conceivable amount of money in the art market. All drawings are available for a unit sales-price of € 200 each. On site in the gallery. (cash only)Online-sale of all exhibited works 12 – 18 Oktober: www.anonyme-zeichner.de. From more than 2000 submissions 600 drawings were selected for the show. ANONYMOUS DRAWINGS was founded 2006 by the artist Anke Becker in Berlin, Germany. Since then, more than 8000 artists from all over the world have taken part in the project and numerous shows of ANONYMOUS DRAWINGS took place up until today.